Make a statement with these food safe, mini cocktail umbrellas. These 4 in. cocktail umbrella picks are a perfect garnish for any tropical drink. 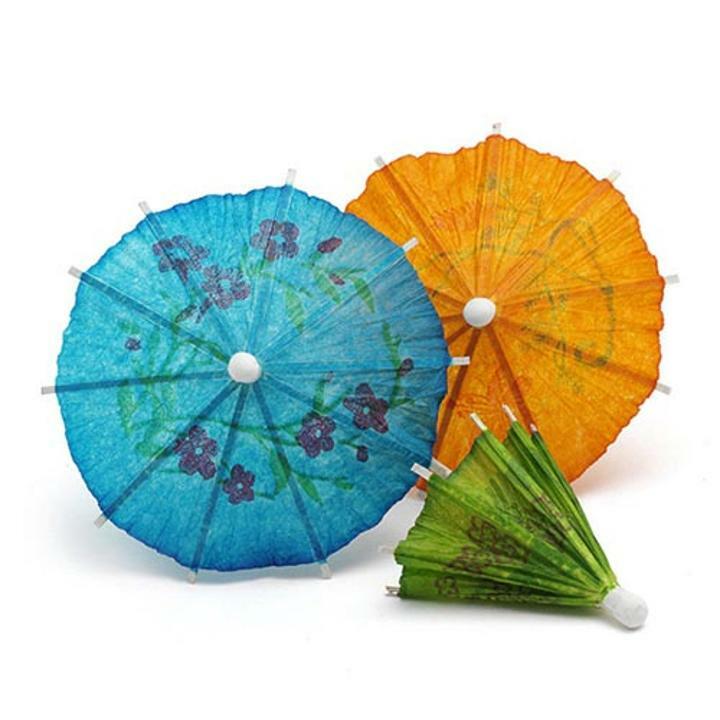 Each package includes 48 assorted paper cocktail umbrellas in blue, yellow, red, purple and green. Great addition to any cocktail party, banquet, and much more! L: 5.0 in. W: 5.5 in. H: 0.5 in.